This week’s Political Junkie trivia question: Who was the first female African-American mayor elected in one of the nation’s top 25 cities? The last trivia question was: Who was the last Native American to be part of a major-party presidential ticket? 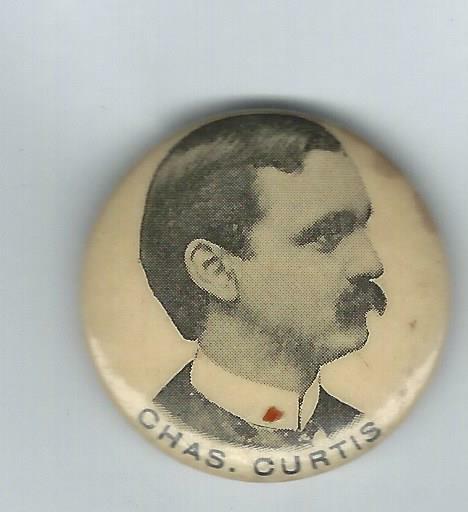 The answer is … Charles Curtis. The Senate majority leader from Kansas, Curtis — a member of the Kaw nation — was Herbert Hoover’s running mate in their successful 1928 campaign. The Republican ticket was trounced four years later, led by Democrat Franklin D. Roosevelt. The randomly selected winner is Todd Humphrey of Frederick, Md. Todd wins the coveted Political Junkie button.